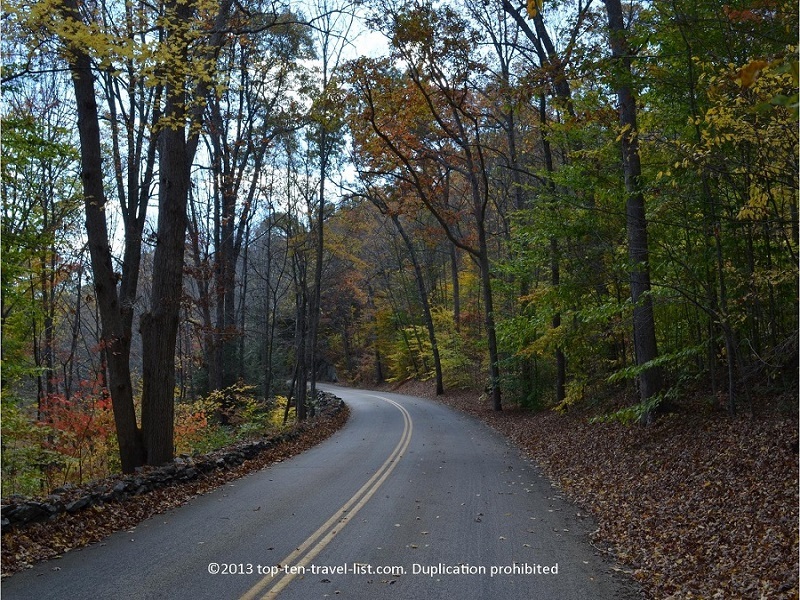 6 Fun Things to do in Southeastern Connecticut - Top Ten Travel Blog | Our experiences traveling throughout the US. Southeastern Connecticut is a wonderful year-round vacation destination. In addition to 2 world class casinos, you will also find numerous options for recreation, including beautiful beaches and state parks. During the summer months, you can check out the sandy beaches of East Lyme. The fall season is the ideal time to get out for a hike while enjoying the dazzling colors. 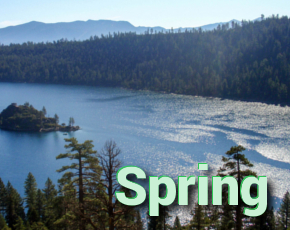 Check out my list of 5 great things to do while visiting the area. 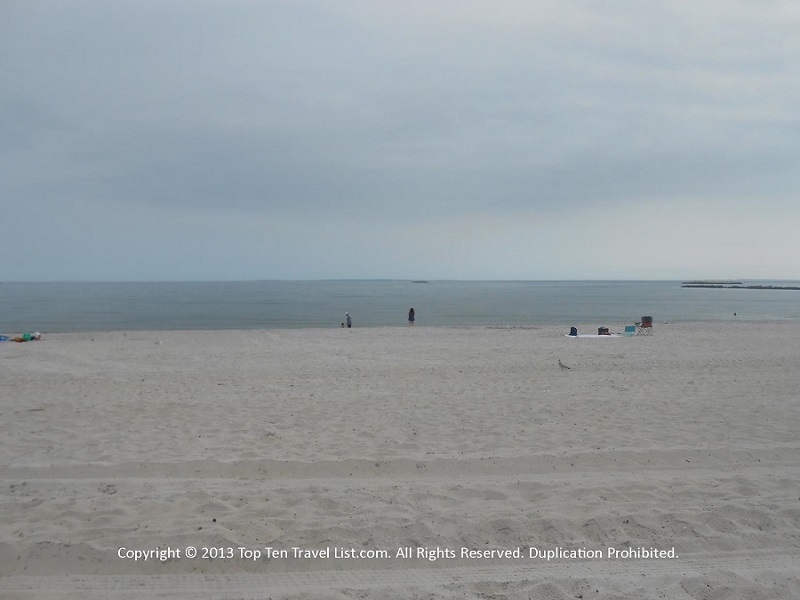 Rocky Neck is a great option for those looking for a clean, sandy Connecticut beach. The sand is soft, the swimming is great due to the calm waters, and the views are beautiful. Camping, hiking, and picnicking are also popular activities within the park. How to get here: Rocky Neck is located at 244 W Main St in Niantic, CT. Parking fees are in effect from mid-April until late September. Weekends are $13 per resident car/$22 per non-resident car. Weekdays are $9.00 per resident car/$15 per non resident car. Those arriving after 4:00pm will receive a discount. 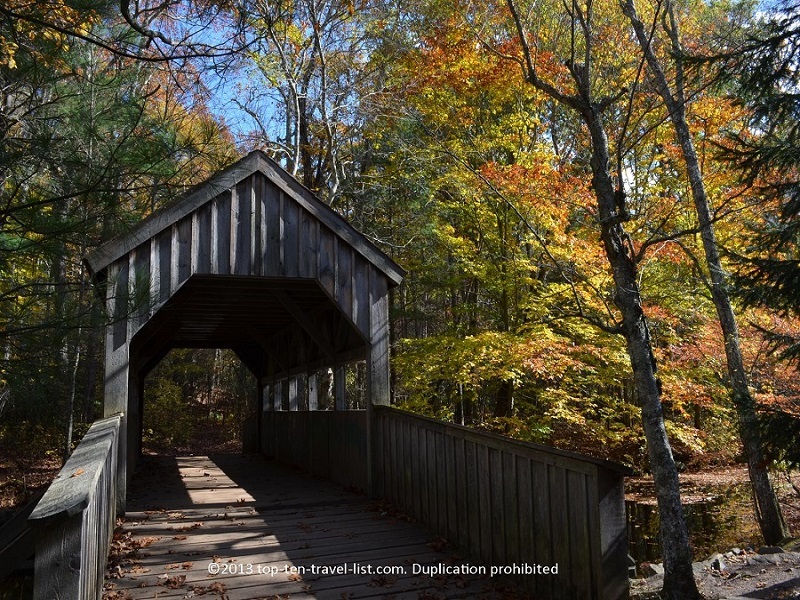 This beautiful 860 acre state park is home to numerous hiking trails, a stunning waterfall, and a covered bridge. The park is especially beautiful during fall foliage season. Fall is the perfect time to take in the true beauty of the forests. In addition, photography of the bridge with the autumn leaves in the background can’t be beat. How to get here: Devil’s Hopyard is located at 366 Hopyard Rd in East Haddam, CT. There is a large free parking lot. With over 340,000 square feet of gaming space, Foxwoods is one of the largest casino in the world. In fact, it used to claim the number one spot, however, that spot now belongs to WinStar casino in Oklahoma. Nevertheless, Foxwoods is an incredible resort filled with top notch amenities, including: 6300 slots, various table games, a range of restaurants ranging from casual to upscale, live shows, shops, bowling, a full service spa, and much more! In terms of lodging, you have your choice amongst 4 different hotel properties. Two notable features are the bingo hall (one of the largest in the world with over 5000 seats) and poker room (3rd largest in the world). How to get here: Foxwoods is located at 39 Norwich-Westerly Rd in Ledyard, CT. There is a large, free parking garage. 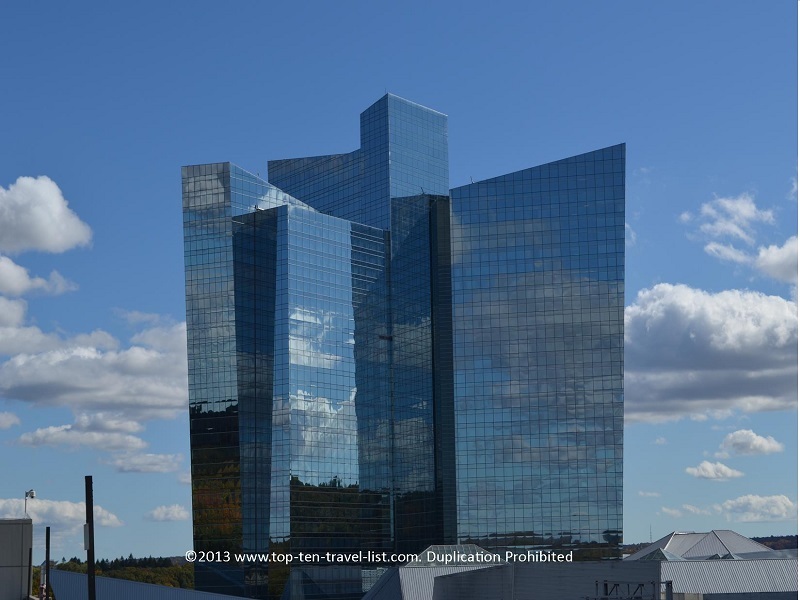 Mohegan Sun is a 5 star casino resort located in Ledyard, about 15 minutes away from Foxwoods. With 364,000 square feet of gaming space, it also stands as one of the largest casinos in the US. The architecture and design are stunning, as is its’ picturesque location on the Thames River. Mohegan Sun’s Season Buffet and Tuscany are 2 excellent dining choices. Tuscany offers a weekday Tuscan Table lunch buffet special, which is delicious. One of the highlights here is the Mohegan Sun Arena, which consistently ranks among the best venues in the world. The Wolf Den is another fantastic option; here you will be treated to live performances by popular performers of both today and yesterday. Other activities on site include: The Mohegan Sun Shops (a collection of various chain and specialty shops), a full service spa, and a handful of bars/nightclubs. Over 1200 rooms are available, many with beautiful views of the river. 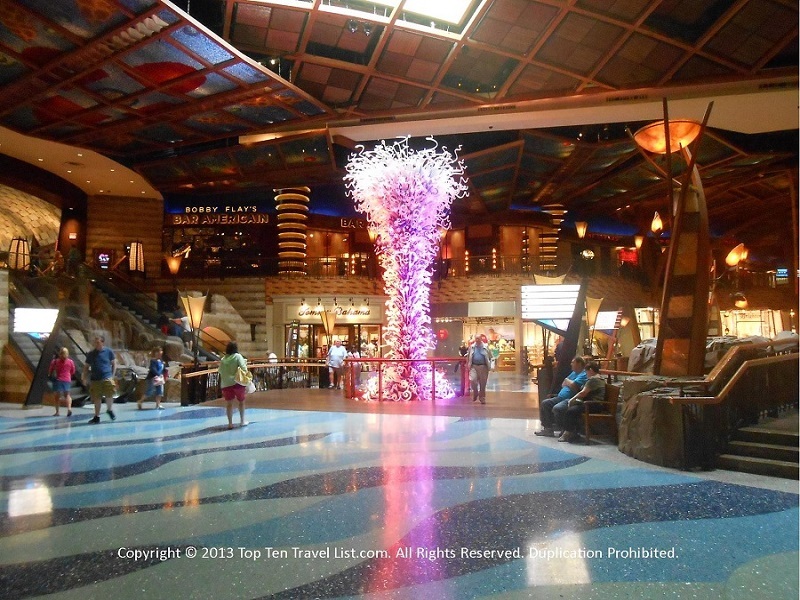 How to get here: 1 Mohegan Sun Blvd in Uncasville, CT. There is a large, free parking garage. 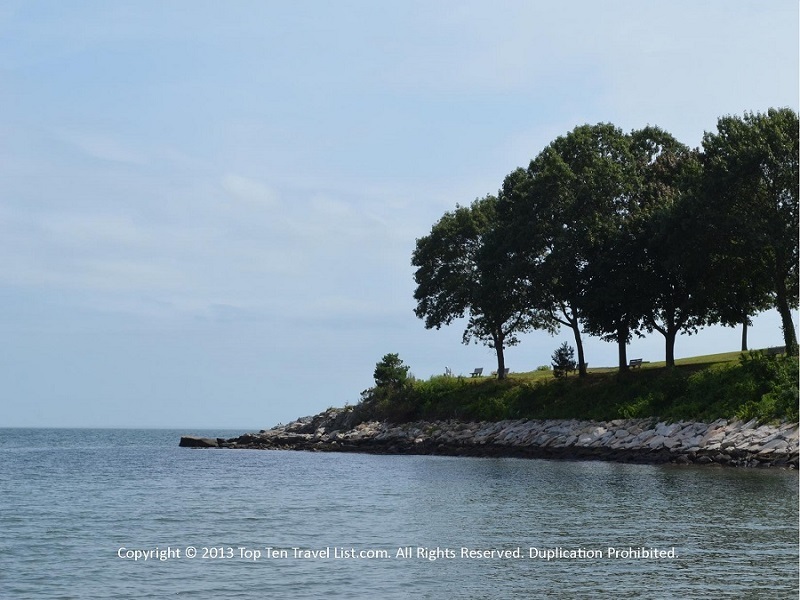 Hole in the Wall is another great beach option in the East Lyme area. Although a bit more rocky, the beach is more secluded, which is great for a lazy day of summer reading. From here, you can take in gorgeous views of the Long Island sound by taking a waterfront stroll along the 1.1 mile long Niantic Bay Boardwalk. How to get here: Hole in the Wall Beach is located on Main Street (Route 156) in East Lyme, CT. Parking is available on Baptist Lane. Passes can be purchased in Tumbleweeds (across from the entrance) or at the parks and recreation office at 41 Society Road. Olde Mystic Village is an outdoor shopping village located in historic Mystic, Connecticut. This quaint shopping area features historic New England brick walkways, a duck pond, waterwheel, and plenty of landscaping. It’s a great place to stroll around on a summer day, browsing inside unique shops, stopping for a treat, and even catching a show at the art cinema. Taking a walk through this old fashioned village is like taking a step back in time. 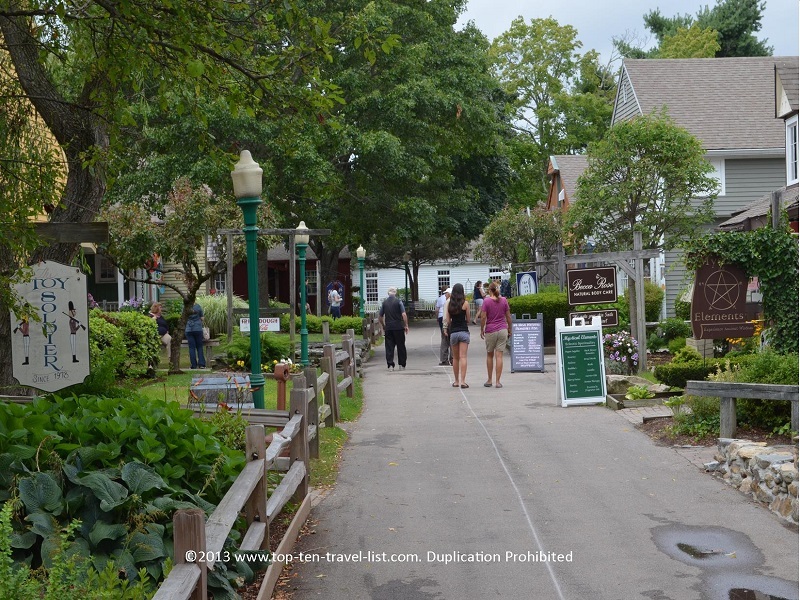 How to get here: Olde Mystic Village is located at 27 Coogan Blvd in Mystic, CT. Parking is free. 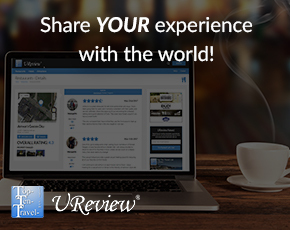 Have you visited any of the above mentioned attractions? What would you add to the Southeastern Connecticut must-see list?